If your small business is exporting anything other than weapons, then you should be concerned about Export Administration Regulations (EAR). In our previous articles, we have discussed arms export controls. In this article, we discuss exports that are not covered under the arms export controls regulations, which would then come under the Export Administration Regulations (EAR). As discussed in our last post on arms export controls, you need to identify whether your export is on the United States Munitions List (USML), which is contained within the International Traffic in Arms Regulations (ITAR). You will probably find your export on that list if it has anything to do with arms or weapons. If you find your intended export on that list, then you are subject to the strict requirements of the ITAR. If your small business intends to export hardware, software or technology not identified on the USML, then you still have to comply with the less stringent requirements of the EAR. There are some other limited circumstances when your export may be subject to the exclusive jurisdiction of another U.S. government regulatory agency such as the U.S. Nuclear Regulatory Commission, the U.S. Department of Energy or the Food and Drug Administration. We do not discuss those circumstances in this post. The types of goods controlled for export under the EAR include purely commercial items, “dual use” items (i.e. items that have both commercial and military applications) and some less sensitive military items. Note that, as with the ITAR, the EAR also defines an “export” broadly to include “deemed exports.” Exports under EAR not only include actual shipments of EAR-controlled hardware, software, or technology out of the United States, but also includes the release of controlled technology or software to foreign persons in the United States. That’s right, an export doesn’t ever have to leave the United States for it to fall within the purview of the EAR. We should probably repeat that as for most small businesses this may not make a lot of sense. Your product or technology does not have to leave the United States to be covered under the EAR. If a company’s hardware, software, or technology is not subject to control under the ITAR, the company should then review the EAR to identify the applicable controls. Contained within the EAR is the Commerce Control List (CCL). The CCL is subdivided into ten categories that describe a number of dual-use and military hardware items, ranging from electronics to telecommunications equipment, navigation equipment, and space vehicles. Within each CCL category are a number of Export Control Classification Number (ECCN) entries that describe the specific types of items that are controlled, and the applicable reasons for control. As with the ITAR, the EAR also controls exports, reexports, and retransfers of hardware, technology or software under certain circumstances. If the hardware, technology, or software you intend to export is described in a specific ECCN, the company will need to review the stated reasons for control and refer to the Commerce Country Chart contained within the EAR to determine if a license is required to export to that particular country (or to a national of that country). Unlike the ITAR, where a DDTC export authorization is required for the vast majority of transactions, licensing requirements under the EAR will depend on a number of factors, including the reasons for control, the intended end-use or end-user, and the ultimate country of destination. If after reviewing the Commerce Country Chart the company determines that certain controls are applicable to that particular country, the company will need to obtain a license from BIS unless an EAR license exception is available. Unlike under ITAR, companies do not need to register with BIS as a manufacturer, exporter, or broker of EAR-controlled hardware, software or technology. If your hardware, software or technology is not described in either ITAR’s USML or in a particular ECCN within the CCL, then the item likely remains subject to EAR and is designated as EAR99. 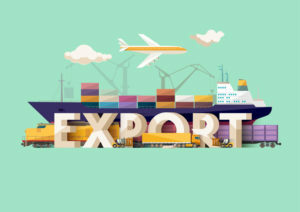 The majority of commercial products are designated EAR99 and generally will not require a license to be exported or reexported except to embargoed countries or to prohibited end-users. But even though EAR99 items are subject to substantially less controls, there may be licensing requirements, depending upon the ultimate destination, end-user, or end-use. Even small businesses are required to comply with export control laws. If you have any questions, you should contact an export control lawyer.